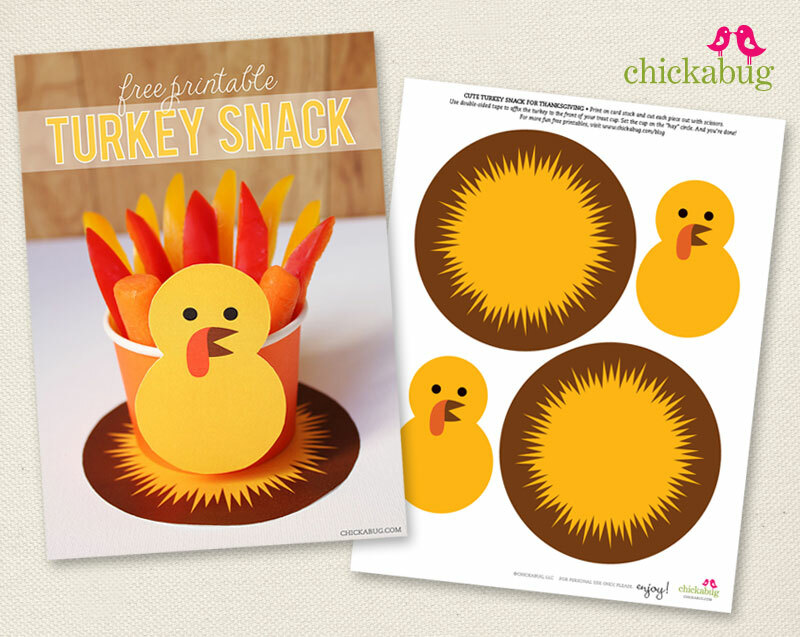 Free printable turkey snack – make fun treat cups for Thanksgiving! I have a super cute little printable for you today! I had so much fun working on this one. 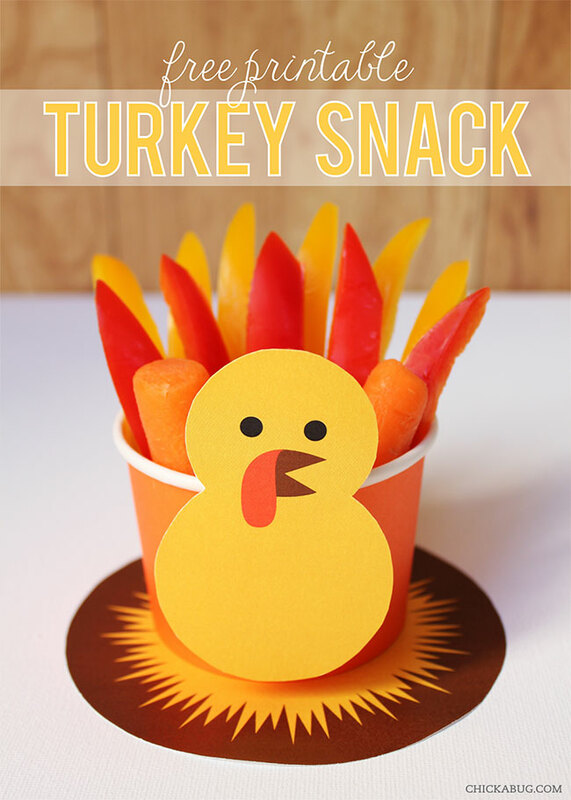 : ) It’s a free printable turkey snack! 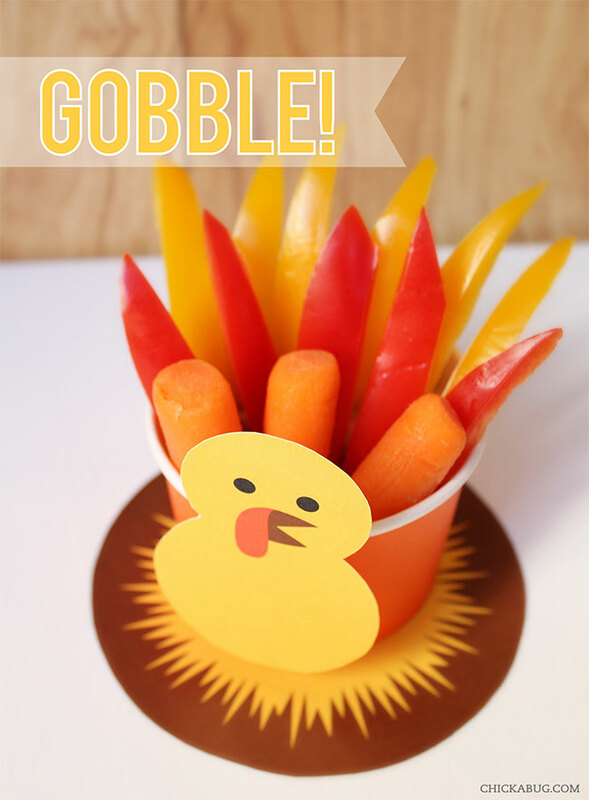 So you can make adorable little Thanksgiving snack cups for your kids! The printable comes with a turkey body and a patch of “hay” for the turkey to sit on. Add a paper cup and the whole thing comes together in seconds! The treat cup I used is from the dollar aisle at Target (I bought them just last week – that’s mid-November 2012, for the permanent record). ; ) I was inspired by this project at Cute Food For Kids to use the peppers for a turkey tail, and I also added some baby carrots. Inside the cup, there’s a big dollop of yummy hummus holding all the veggies in place. Be sure to check out my other free printables and the Thanksgiving and fall ideas I’ve been blogging about, too. Happy Thanksgiving! OK these are SOOOOO FREAKIN' CUTE! Love love love. Thank you Heather!!! I absolutely love your blog site! Thank you so much for all the time and effort you put into all that you do!! Hi Heather, I’ve added you to the VIP List. 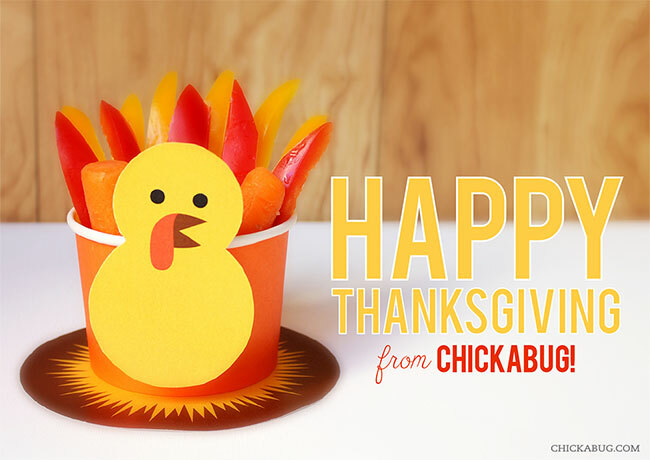 Please check your email for a message from shop (at) chickabug.com. Thanks! May I please have them as well? Thank you! Great website. I can't wait to use this stuff for my daughter's class. I will use this in my class! Awesome!!! I just hope I can find the cups!!! I may use these for our Nov. mtg for SWATT (Seniors with ample time & talent) We are all just kids at heart. I think they will just love. I love these. I have submitted my email twice in the last 2 days but I haven't received anything in my inbox or my spam folder. Do you have any suggestions as to how I can print these? Was hoping to use them tonight for a girls Thanksgiving party. Thanks! Hi Renee! I emailed you. I have tried several times to download your Turkey Printable, I wanted to do it for my school, but can't get it.